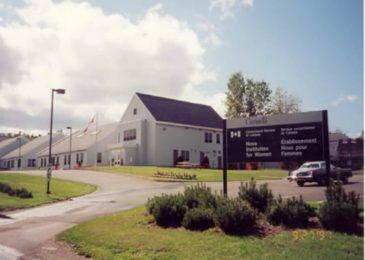 KJIPUKTUK (Halifax) – Women incarcerated in the Nova Institution for Women in Truro have not had access to volunteer doula services since June of this year. As a result women and their babies are at risk, says the coordinator of the partnership that used to provide the doula services. Doula services include emotional, physical and information support to pregnant women before, during and after the birth of their children. Doulas are trained, experienced, and compassionate. They support women’s decisions and advocate for access to services. Women’s Wellness Within (WWW), the partnership that offered the services has not been told by prison management why referrals have stopped. Martha Paynter, a coordinator at WWW, is at a loss to understand why. “In the spring of 2016, after having provided doula services for that year, we asked to put in place an agreement for future services. We had been doing it in an informal way, and we needed an agreement for accountability, transparency, so we could apply for grants, all kinds of reasons,” says Paynter. The group never received a clear response. “At the prison at the time there was some turnover, there was an interim warden, then a new warden, we were told that people were on vacation, on sick leave, that roles had changed, and on and on and on it went, ” Paynter says. Meanwhile the women don’t have access to doula services. Repercussions of doing without the help provided by WWW volunteers can be extremely detrimental, says Paynter. “At Nova you can apply for the mother-child program and have your baby live with you in prison,” says Paynter. “Our support has helped several women to keep their babies. We help mothers deal with things like an inability to breastfeed successfully, premature breastfeeding cessation, post-partum mental health issues, difficulty with mother-child attachment, etc. The need for support is very real. You have to be able to keep your family together,” says Paynter. WWW is a partnership among IWK Midwives, the Chebucto Family Centre / IWK Volunteer Doula Program, the Elizabeth Fry Societies of Cape Breton and Mainland NS, and the Halifax branch of the Women’s Legal Education and Action Fund (LEAF). WWW also works with women who are paroled and no longer incarcerated, but whose lives have been deeply affected by their criminalization. WWW delivers a similar program to women in the Burnside jail, although under slightly different circumstances. The relationship between WWW and Burnside jail management is workable, and all women who identify as pregnant are offered the services of the Chebucto Family Centre doulas by staff, Paynter says. “Bureaucracy is all fine and well, but pregnancy and babies don’t wait. These children are brought into this world without support,” says Paynter. Two women, Camille Strickland-Murphy and Veronica Park died at the Nova Institution at 2015, and their families are now suing the federal government for wrongful death.